How did Civil War soldiers endure the brutal and unpredictable existence of army life during the conflict? This question is at the heart of Peter S. Carmichael's sweeping study of men at war. Based on close examination of the letters and records left behind by individual soldiers from both the North and the South, Carmichael explores the totality of the Civil War experience--the marching, the fighting, the boredom, the idealism, the exhaustion, the punishments, and the frustrations of being away from families who often faced their own dire circumstances. Carmichael focuses not on what soldiers thought but rather how they thought. In doing so, he reveals how, to the shock of most men, well-established notions of duty or disobedience, morality or immorality, loyalty or disloyalty, and bravery or cowardice were blurred by war. Digging deeply into the soldiers' writing, Carmichael resists the idea that there was "a common soldier" but looks into their own words to find common threads in soldiers' experiences and ways of understanding what was happening around them. In the end, a pragmatic philosophy of soldiering emerged, guiding members of the rank and file as they struggled to live with the contradictory elements of their violent and volatile world. We are thrilled to welcome Peter S. Carmichael to our Round Table. Peter S. Carmichael is the Fluhrer Professor of History and the Director of the Civil War Institute at Gettysburg College. He is the author and editor of a number of acclaimed Civil War books, including his most recent, The War for the Common Soldier: How Men Thought, Fought, and Survived in Civil War Armies (The University of North Carolina Press, 2018). He has also published a number of articles for both scholarly and popular journals. Every June Professor Carmichael directs the Civil War Institute's summer conference, which draws more than 300 attendees from across the country. More recently Professor Carmichael has appeared on the PBS Robert E. Lee documentary for the American Experience series and on the popular TV show "Who Do You Think You Are." Please help us give him a warm Austin welcome! The meeting will be held at Covenant Presbyterian Church, 3003 Northland Drive. Covenant Presbyterian Church is located at the southeast corner of Northland Drive and Mopac Expressway (Loop 1). 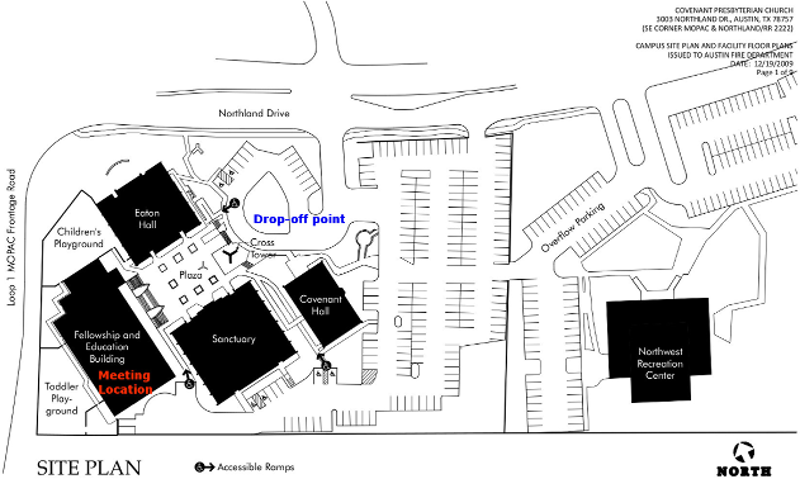 To reach Covenant via Mopac, take the RM 2222/Northland exit, then proceed east on Northland Drive. Covenant is on your immediate right.To reach Covenant via I-35, take the FM 2222 West, 238A exit. After you exit on the frontage road, proceed west on Koenig/2222. Head west through Lamar Blvd and Burnet Rd. After Burnet Rd, Koenig becomes Allandale Rd. After you cross Shoal Creek Pkwy, Allandale Rd becomes Northland Drive. Covenant is on Northland Dr on the left before you reach Mopac Expy. Bacon-wrapped meat loaf, dessert, coffee, tea and water. The cost will be $12. To attend the meeting only, the charge is $5 (For non-members, the first meeting is free, and subsequent meetings are $10). Please RSVP by 12 Noon on Tuesday, April 23, by contacting Mike Watkins via telephone at (512) 970-5548. If you must cancel your reservation, you must do so at least 48 hours in advance or you will be responsible for the costs incurred. Also, please let us know if you are attending the meeting but do not plan to join us for dinner. Thanks!